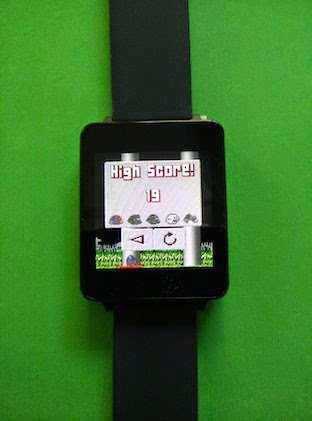 So I got an LG G Watch earlier this week and yesterday I decided to try to get my game ZombieBird - The Flapping Dead running on it. It turned out to be easier than I expected. After removing the the ads and facebook support it pretty much ran out-of-the-box. After that all I needed to do was some adjusting for the 1:1 screen dimensions and remove some unneeded buttons. Today I packaged the Android Wear version with the phone version of the app so if it is installed on a phone that is paired with a Wear device then the Wear device will get the Wear version of the app automatically. I'm not sure how I feel about that any Android app you install on your phone can contain Wear apps that are installed on your Wear device (no questions asked) automatically. 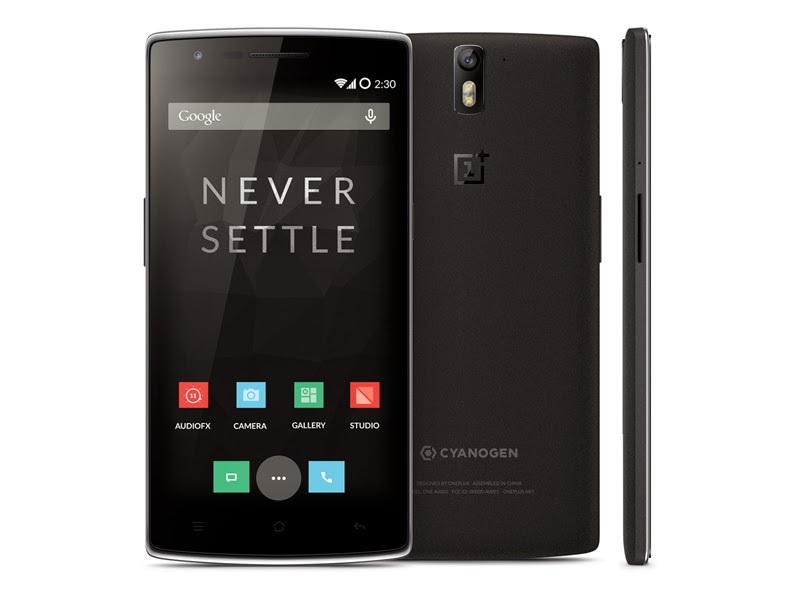 Finally got an invite for the 64Gb version of the Oneplus One. Now I'm just waiting for the new toy to arrive. 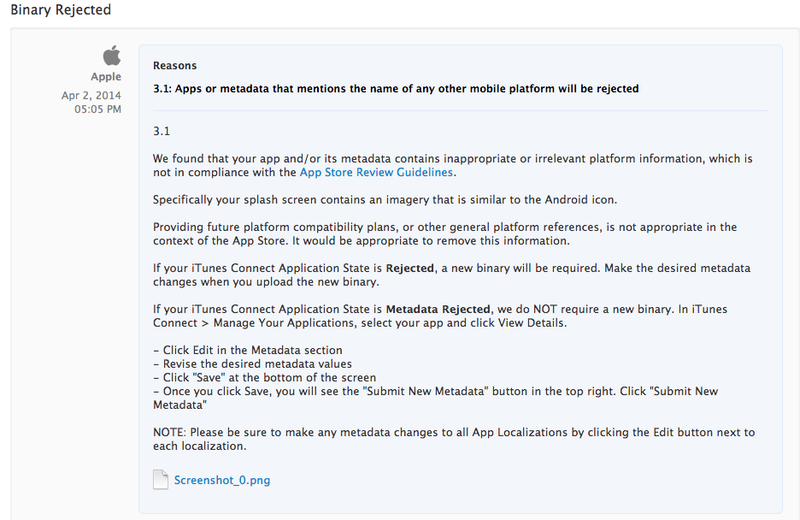 Apple isn't very welcoming to Android developers that tries to go cross-platform. It seems they believe that my company logo (that I've used for a couple of years now) isn't healthy for their devoted users. So I had to replace my logo with something less Android-friendly (for the iOS version) and upload a new binary for ZombieBird 1.1. I suppose I could point out to them that "mention the name of any other mobile platform" and having a image that is similar to the Android icon isn't really the the same thing. Probably not worth the trouble. I just find this a bit humorous and silly so I figured that at least I could post it here to warn other Android developers that plan to go cross-platform in the future. Meet the new friends of ZombieBird in version 0.8 of ZombieBird. 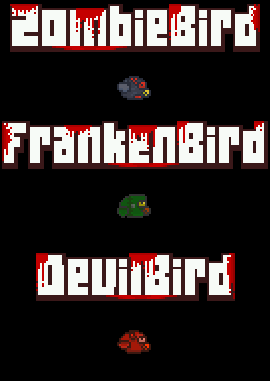 Reach a highscore of 25 to unlock FrankenBird and a highscore of 50 to unlock DevilBird. Note that the iPhone/iPad version is not up to date with the web and the Android version due to the extremely long review times for iOS apps.